Survival of the Fittest taught by Charles Darwin. Some animal behavior could also be seen in competing humans. 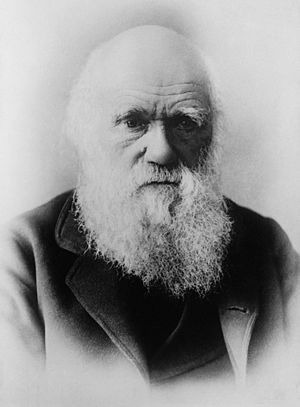 The popular core belief of Darwinian Theory of Evolution: survival of the fittest. In the academic life of college students, the theory applies well. College students enrolled in high-courses feel this trend of belief. As I see it, ‘Survival of the Fittest’ means basically two things: surviving the academic quota imposed by their department for staying in the course, and, the said system has a strong inevitable tendency to push the students for a competition. The first truth is a well-said fact, no need for further elaborations. But the second one – really calls for some needed explanation, exploration, and observation. Competition itself is not bad – and I call that healthy competition. But competition to the expense of wilful sacrificing the good of others – isn’t good – in fact it slowly destroys the basic philosophy of education, which is learning, or change for the better. If students in some ways behave like animals in the Darwinian concept of striving to be fit for survival, then the cause for education is already defeated. Unhealthy competition naturally comes from pride – almost always. Slowly too, it has the power to destroy relationships, and build walls among individuals, though these same people call each other as ‘friends’. This article could not be finished now, and purposely I will not. A term paper could be written on this topic. This is my friend’s testimony regarding her struggle to stand in her belief as a Christian against a taunting and unbelieving Philosophy teacher. My friend is Che and here is her story, copied from a Christian Social Networking Site Christianster.com. Enjoy Reading! I can still vividly remember that one summer experience in my Philosophy class last 2003. I was a working student during my years in college and needing to balance my time and work, I had to withdraw some of my minor subjects and one of it was philosophy. I got blessed though that right after second year, Philosophy was offered as a summer course. I was exceedingly glad. This meant that I can finish my course in exactly 4 years. Having left some of my subjects, I had thought that I won’t be able to graduate on time with my friends back when I was still in a block section. To make the long story short, I enrolled in that summer Philosophy class. I’m happy to have finished my contract too with my job, means that I can focus on my subject. This is the only subject that I have left offered for summer so, coming all the way from Antipolo to Sta Mesa is a bit of a hassle for me. But I didn’t mind. I took it. The sun beamed all across the entire university during the first day. The class was scheduled at 9-12 and is for 3 times a week. I headed towards the 6th floor of the main building of PUP. Whew! Trudging along as I went. 9:00 am ” Where is our professor?,” asked my classmate. We waited and waited but he didn’t come. 2ND day, 9:00 AM I was still standing outside the west wing of the main building, waiting… losing temper… but still waiting….it’s 10:30AM, go home instead.. no just wait…11:30… NO ONE showed up again. ..whew! 3RD DAY, FRIDAY – 9:00 AM ‘C’mon where are you? Show yourself up…” I said to myself as my classmates and I waited for our professor. At 10:30 AM, a short guy in black shades and cream polo entered the room and approached the teacher’s table. AT LAST!!! He actually looked like one of the bodyguards of the Mayor acting as villains of local soap operas. We were a bit anxious to meet him because he has a very unsmilling demeanor, looked formal, and…. dangerous. He removed his shades and up showed his face. He really isn’t smiling and he’s looking at us one by one without winking…. ( c’mon… why the sudden butterflies in my stomach? ) kamote! He started his lessons, no formal introductions whatsoever, but he mentioned that our very basic lesson that we have to pass before proceeding with other areas of study is about the EXISTENCE OF GOD. He walked across the room and picked some students to answer his mighty question …” DO YOU BELIEVE IN GOD?” He asked this in a way that will make your knees shake and your voice to tremble. He’s not shouting at that time but his voice roars all over the room, and… .he would ask you while moving his head about an inch close to your eyes. I have never seen anyone NORMAL like this. My classmates attempted to shoot the best answers possible. ” Yes, I believe in God because he loves us and created us 2000 years ago, I can feel Him,” said my girl classmate, looked petite and shy. My professor laughed sarcastically. ” oh really, you feel God? Why? do you experience God? Did you see God? SHOW GOD TO US NOW, AND IF YOU CAN’T..HERE IS YOUR CLASSCARD. GO HOME AND BE WITH YOUR GOD,” exclaimed my professor. My poor classmate nodded and alas! my professor torn his empty classcard into two as my classmate left the room. We were shocked. We were 45 in the class, now we’re down to 32..
2ND DAY: ” Yes, I believe in God because it is written in the Divine Scriptures.” attempted my girl classmate, looks aggressive and one who speaks her mind out. ” Oh, Holy Scriptures huh?! Very nice answer.. very nice indeed! ( clapped his hand 3 times) I presume you are referring to the Bible.” We all answered yes as to support my classmate, we already know that she is in between life and death.. ” Okay, who wrote the Bible?” He said in a very loud tone. He pinned one of my guy classmate who stood nervously.. ” It is Saint Paul Sii-iir…” ” okay, do you believe that human beings are capable to err?” ” Ye-ees Siii-iiir….” Then my professor inscribed these words on the board.. All human beings are capable to err. Saint Paul wrote the Bible. Saint Paul is a human being. ” SO!! therefore! What would be the next statement? he shouted in our horror. ” The Bible is erroneous, Sii-iir.” answered my guy classmate. The two of them went our of the class with their torn classcards in their hands. He asked several more people, and as expected, more and more heads were kicked out of the class..
3RD DAY: DOOMS DAY! HEADCOUNT: 8 It was a very fine day from outside but not from my west wing philo room. Everyone was now silent, everyone closely looking in front as my professor looks at us silently. ” Ms. Vasquez, do you believe in God? ” was the voice that cleared the silent air. ” Yes Sir, I do.” I answered. ” Why after all our discussions, theories and debates, you still believe in your God?? Why don’t you join the bandwagon, deny your God and it will be an easy exit for you?” he exclaimed in a soft yet threatening voice. ” Sir, you might have proposed some theories here, but those are but theories, no evidence were given. I believe in God because I feel His spirit in me everyday, everywhere I am. I believe in what the Bible says because I believe that God wrote it , used human beings, but still He is the AUTHOR of this Holy Scripture. I believe He created you and me, I believe that one day, all of us will die and eventually face HIM and he will judge our hearts. FAITH IS MY EVIDENCE OF TRUTH. ” With this, he turned silent and his jaw moved from one side to another. I must have admit I felt nervous at the way he looked. He walked towards me… bent his head on me and took out my empty class card… I took a deep breath ( oh no… this is it..) ” Ms. Vasquez!” he shouted to my horror. “Ha.ha.ha. If you believe in God and said that you feel His power everyday and everywhere, now, why don’t you find your God in the marketplace, make Him give you a grade and make Him sign here in this portion of your card! NOW…OUT OF MY CLASS!!! ” He gave me my classcard and I hurriedly left the room.. I didn’t know what I felt at that time, but my heart tells me that I did the right thing. So what if I’m not graduating on time, so what if I will just have to take a Philo class from other schools? I told my mom what happened on that day. My mom was furious., she wanted to travel to Manila, go to my professor and confront him for such behavior. I told her not to. I must admit I cried a little to my mom, not because I did wrong but because I thought that I had wasted so much time during that summer, plus to consider the fact that our life was very hard then and my mom just managed to split the budget to give me allowance for that class. I cried to God that night in prayer. He comforted me. I remembered His promise: ” For I know the plans I have for you,” sayeth the Lord, plans to prosper you and not to harm you, plans to give you hope and future.” – Jeremiah 29:11 God did gave me that wonderful assurance and I knew I have nothing to fear about. Days passed… I just enjoyed the rest of the summer and smile at that experience. There were times, when I think about it, joke it around and mimic the way my professor talks.. hahaha! JUNE CLASSES came.. I was happy for this school year, my fourth year in college. I know I’d be facing a lot of trials again but I was happy knowing that God guides me and helps me attain my goals little by little. I never thought God blessed me this far.. A familiar face approached me, it was my classmate from Philo class… yes. From Philo class??! I started to run some thoughts as she approached me… then she greeted me hi. She then started to pull out a little yellow printed paper out of her sling bag, gave it to me and sped away. I looked at the card. I was so surprised to see it was a classcard in PHILOSOPHY 1, with my name above the subject title and a mark grade of ” 3.” I was dumbfounded for several minutes until it came to me that ” IT WAS MY CLASS CARD! ” I almost leaped with joy during that time. I never thought that my professor would actually consider giving me a grade. I soon found out that it was 4 of us ( from original class of 43 students ) whom he gave grades for a 3. I prayed and thanked God for this BLESSING. For me it was my most meaningful grade of all the subjects I’ve took since primary year. Yes, it was a 3 and it was the lowest grade anyone could have in college, but it was all worth it. Now, having worked for almost 3 years now after graduation, sometimes , when I go back to my school records and see that class card, I cant help but remember my most unforgettable experience during school days. God is so good. He truly makes His presence known by the ACTS OF LOVE He bestows upon us. Amen, sister Che! God loves us so much though we are so undeserving! Does God Answer Prayers Subtly or Obviously? If God isn’t Real, will you still try to be Good?